Despite the recent political climate that has challenged the notion that brands with reputation baggage cannot succeed, in the corporate environment, all the marketing brillance in the world will not overcome a reputation in question. For those brands that have stumbled along the way, either by ignoring the counsel of public relations professionals or unfortunately by being blindsided within their organization or their industry, public relations is also the best source for recovery. Regardless of whether one is deploying PR to build or save the reputation, C-suite execs should not underestimate its relationship with sales. The most seasoned PR professionals know that to create sales, one has to use a variety of media and psychological tools on the target audience. A successful PR program keeps a brand top of mind within a particular industry and among business and consumer targets. Of course, today, there's a great many tools in the arsenal of a marketing and public relations department, from content marketing to demand generation to social media management to the more traditional paid strategies. According to a 2014 study by Nielsen on the role of content in the consumer decision-making process, PR is almost 90 percent more effective than paid media.. 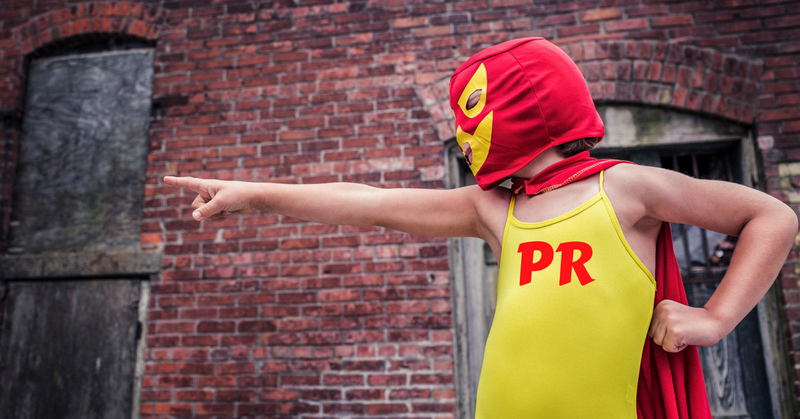 There are core elements to a solid PR program. Of course, we make no bones about disclosing that a PR strategy alone is not the path to measurable results. But these long-term strategies absolutely are essential to the growth and maintenance of your brand’s reputation. Your first assignment is to intimately understand competitors and audience. What are your competitors saying about themselves? How are they positioning themselves in the industry? Studying this information can perhaps reveal a “hole” in the market that your competitors aren’t addressing. This gives you a solid differentiating message to optimize. Create your message platform. These should be a collection of solid, concise statements that define your company and describe in easy to understand language what you do. Messaging should differentiate your brand in the strategy, tone and description of your solution. Don't simply explain what you do, a common practice, or even what problem you solve. Instead, consider a more provocative approach such as, what happens if your solution is not deployed. These statements will be the “bible” of what every spokesperson -- read: every employee -- needs to say on a consistent basis. The last message, audience personas, are increasingly critical from a sales and marketing standpoint. Yes, knowing a company has a b2b strategy or enterprise b2b is great. Understanding its core channels is also helpful. Given that we have the ability on the digital marketing side to target with such specificity, building out audience personas may be the most important messaging exercise we can accomplish. For help on gathering audience insights check out our post on creating buyer personas here. Infographics: visually compelling content about your brand, industry trends, historical perspectives that differentiate your company. White Papers: Publishing a white paper (research paper) helps solidify your claim to industry knowledge. Bylines: Many vertical trade publications accept articles written by outside writers, including CEOs of companies. Bylines should focus broadly on an issue or trend and only mention your company. Press Release Calendar: Decide what your ideal cadence is for issuing news and develop a potential calendar for distributing that news to the world. Company announcements can include new hires, growth numbers, new products, company visibility at major events and more. Media Story Ideas/Pitches: Use your agreed upon messages to develop story ideas that you can “pitch” to a core list of media outlets (see below). These should be broad-based ideas that capture the reporter’s attention without being a sales pitch. First compile your media list using tools such as MuckRack. Find out what reporters cover your areas of business. Also, what does your audience read, what is on their desks and nightstands? Read those publications and learn what themes they tend to focus on and what reporters’ names pop up in bylines again and again. Media lists can be large, but honestly should be quite defined. A short list of 15-20 reporters that are in your industry’s sweet spot can be all you need. To manage the outreach, develop an in-house spreadsheet or table that anyone who talks to media uses to keep track of reporter deadlines, responses and more. A standard example. In order to get your company’s name in the media, you need to be able to sell or pitch a story that will actually intrigue the media. No member of the media is just randomly going to do a story on you because you are looking for a way to market your business. Proactive outreach must tell a story -- and that story must be bigger than you and only you. Yes there are newsworthy items that can stand on their own (major financing, new CEO) but those are few and far between. Read articles that the reporters you have put on your list have written. If they’ve already covered topics similar to yours, there is a good chance they’ll be interested in hearing your pitch. With that in mind, make sure your story is unique. Reporters don’t want to write the same story twice. Don’t forget to follow up! Sending a pitch one time and letting it go isn’t the way to secure a story. Persistence is the key. That said, keep reading and respond to a key reporter’s story even if it’s not directly relevant to you. That helps build a relationship and when you send the right story idea over, they’ll pay attention. Lastly, remember that email isn’t always the best way to reach a writer, sometimes social media (Twitter, Linkedin, etc.) is the surest way to get a response. Analyst firms such as Gartner Group, Forrester, Ovum and many others use their voice to set the tone in any given industry. Their job is to be on the front lines, knowing what trends are about to happen and alerting their readers to what’s potentially coming down the road that will affect their industry. Additionally, journalists often look to analysts to confirm trends, deliver insights, and add quotes and credibility to their profiles of key industries. Do your research. Each analyst firms has its own very comprehensive website outlining everyone in their company and his/her focus of research. Additionally, comb the national business publications covering your market. What analysts are consistently getting quoted about your industry. Once you have short list of target analysts, schedule initial and then regular quarterly briefings with those people, keeping them informed of your company and its place in the market. Eventually, the goal is to garner attention in reports that each analyst is required to write, citing your CEO and/or your company as an example of quality performance. Even without a paid relationship with key analysts, a long-term commitment to analyst relations can pay off for any company in an important industry or an emerging category. Every industry has it’s “gurus.” Look to build relationships with those people, turning them into advocates for your brand, validating what you do and bringing instant credibility. These influencers might be other CEOs, bloggers, corporate alumni, journalists or analysts. Find out who is being quoted by the national business publications or your trade magazines. Learn who is most engaged with others on online forums. Once that short list is established, you can begin to engage them directly on behalf of your brand, nurture the relationship and convert them to brand advocates. Reach out to them introduce your company and yourself, suggesting you chat via phone or meet up for coffee if geography allows. You’re both interested in the same things; it’s likely you will enjoy exchanging ideas. Follow what they do online — what forums or groups on Linkedin and Twitter are they most active? Become active in those groups, too. And with whom are they exchanging ideas? They may be others you’ll want to nurture. Consider “hosting” a Twitter Q&A with the influencer. Start by retweeting their posts, commenting occasionally on their writings. Additionally, when you find a news item or trend of interest, proactively send it to your influencer list, ask them their thoughts and tell them yours. Keep them up to date on what your company is doing. Invite them into “early sneak peeks” of new offerings. Take their feedback. Invite them to participate as a contributor on your company’s blog. This broadens their reach as well as gives your blog credence. Once a relationship is established you’ll find opportunities to ask this person to support your company publicly. That may be via an “expert quote” that you use in a press release, or encouraging that person to include you in a panel he/she is hosting at a major industry event. National media usually call on these influencers for quotes in big stories. Having your company top of mind may help increase national media attention. Every sales organization has a conference and tradeshow strategy: attend the conference, hock your wares, make sales. But much can be accomplished at these events from a PR standpoint as well. Most conference organizers know what media are coming. Try and get that list. If not, outreach to the folks you suspect will be in attendance and ask if you can schedule a specific time to meet with them while at the show to brief them on your product, company progress, etc. Do this at 75 days out, as media’s schedules fill up quickly. You might not be a major sponsor of the event, but is there something creative you can do to help get your brand some attention? Consider guerilla tactics such as in-booth giveaways, hotel drops with invitations to your booth. Even street teams in the area. Know the schedule and plan ahead. Is a potential sales target speaking during one of the conference sessions? Make sure you put that session on your schedule so you can grab him/her afterward. When are the event’s major networking parties. Big shows can be very overwhelming, so go in with an actionable plan. Consider hosting your own “event” during the conference, offsite. As example, host a small VIP dinner or cocktail party with key prospects, analysts and partners. Set a theme and create networking opportunities. Lastly, a good conference strategy includes Executive Visibility. Find out where you want your company leaders to speak, then find out topics they are searching for, deadlines for submission (sometimes nine months in advance of the event) and write a thoughtful pitch encouraging the organizers to place your company exec on the agenda. You might suggest a single-person presentation or go ahead and put together a suggested panel of experts -- with your CEO as the moderator -- to discuss an industry issue. Remember that PR is a process and it involves pursuing, conquering and leveraging placement after placement to gain the greatest results. It's a continuity strategy that requires patience, finesse and perserverance. Anything less, including a lack of investment, will fall short on expectations and potential.